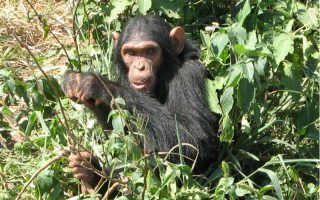 Despite having a very bitter past, Rwanda travel packages offer one of the best experiences with primates in the whole world. 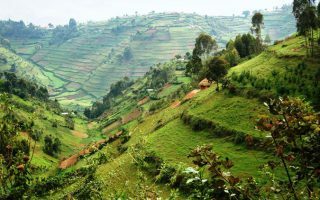 Tiny Rwanda is endowed with so many great attractions, hills and mountains. The “Land of athousand hills and mountains” phrase depicts its wealth of nature. 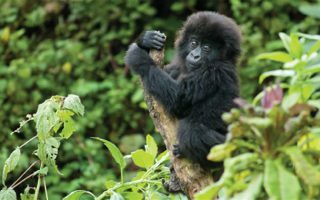 It is among the only three countries in the world with mountain gorillas – a critically endangered African gorilla species that are numbered. 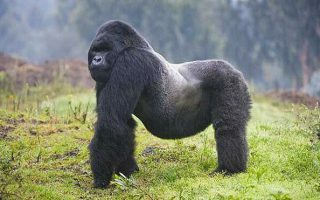 Rwanda gorillas are found in Volcanoes National Park (Parc Nationale Des Volcans - PNV) in Musanze right along the Virunga Conservation Area. These gentle primates are visited each and every year at a price of $1500 exclusive of accommodation and transportation. PNV is apparently the best place to see gorillas in the wild because of its elevation and accessibility. 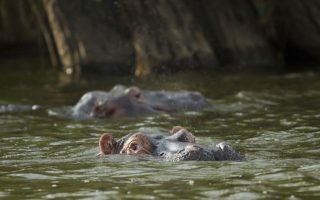 This contradicts the experience you will get on Uganda safaris and tours. 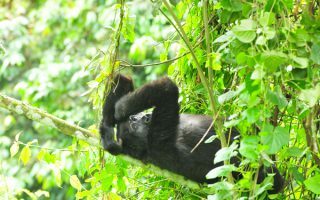 If you have long craved to see gorillas in Rwanda, this is where you will go. 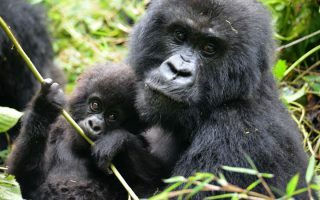 We can help you meet a gorilla with our luxury Rwanda travel packages. Accommodation, transportation and service is top notch for the best comfort whilst on your vacation travel. 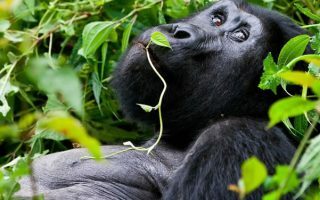 When you visit Rwanda gorillas, think beyond that! The Rwanda tourism industry has so much more to offer. 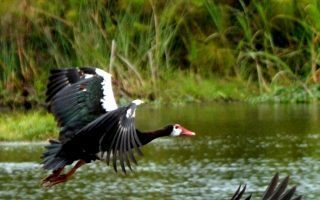 You could also opt to visit the big five game animals in Akagera National Park or walk across the canopy in Nyungwe Forest as you spot chimpanzees from a bird’s eye view. Book any of our Rwanda luxury travel packages below for a memorable vacation. 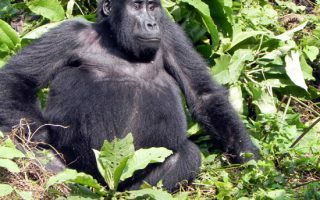 Above are some our tours to see gorillas in Africa. Gorilla tourism is apparently the brightest star in the Rwanda tourism industry. The industry isn’t so diverse to keep you engaged for more than 10 days but does have very interesting activities. 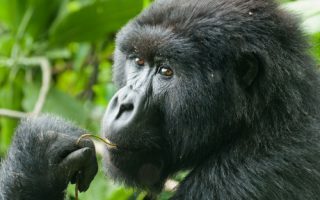 You primary reason for visiting should be gorilla hiking in Rwanda and may be mountaineering and wild game viewing. 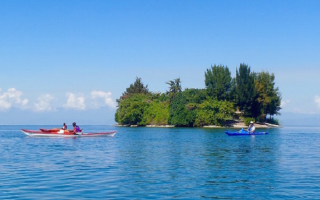 We do organize luxurious travel experiences that highlight all these insanely awesome activities. 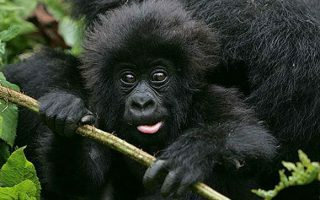 Just as mentioned above, your main reason to visit Rwanda should be gorilla trekking encounters. The Virunga Mountains are a great spot to test your physical fitness levels. 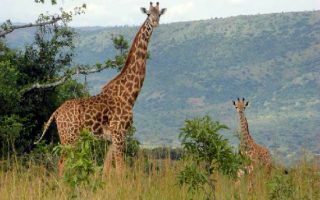 Akagera National Park is among the few safari parks in Africa that shelter the big five game animals. 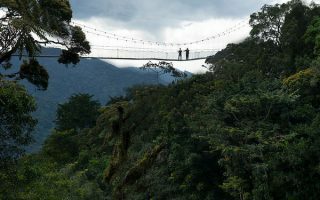 Nyungwe Forest National Park has the only canopy in East Africa where as Lake Kivu – one of the most beautiful places to visit in Rwanda turns out to be one of the most relaxing in the region. 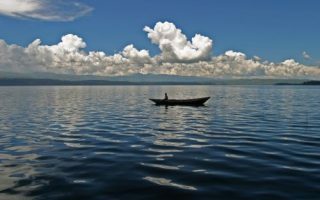 With a Rwanda luxury travel experience, there is so much fun to explore! Visiting gorillas in PNV is so far the best of all. 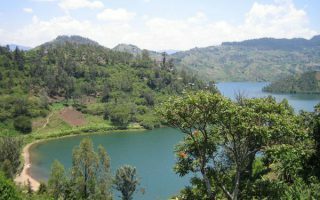 There might be only a few Rwanda tourist attractions but the fun is worth more than that. 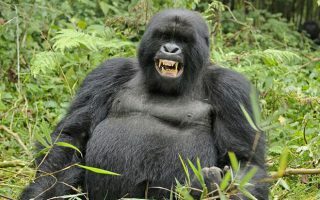 There is no big difference between the mountain gorillas in Rwanda, Uganda or Congo. However, there might be slight differences in terms of breeding. 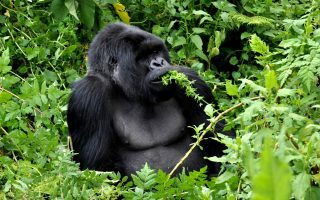 Luxury clients prefer to visit Rwanda gorillas because the country is an luxury gorilla trekking destination. PNV is just three hours away from Kigali by road compared to the 9 hour drive from Entebbe to Bwindi in Uganda. 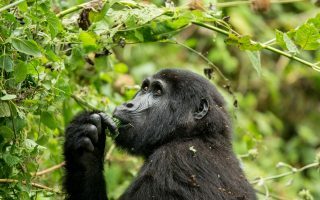 Rwanda apparently has the best conservation efforts among the three gorilla tracking destinations. When you purchase a gorilla permit, you are certain that your money is going to be used for the exact purpose unlike in Uganda where corruption is high. Buying a permit is one way of giving back to gorillas are helping them grow in numbers. Lastly, Rwanda has some of the finest luxury tour accommodation facilities in the continent and these include; Bisate Eco Lodge and Sabyinyo Silverback Lodge. 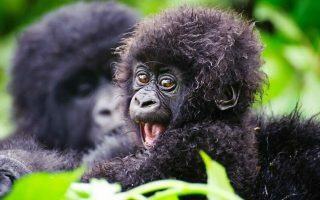 Mountain gorillas are found in Volcanoes National Park, in the northern province of Rwanda. This national park is apparently the oldest game park in Africa. 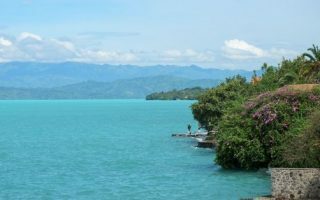 PNV spans approximately 160 square kilometers covered in bamboo and rainforest. 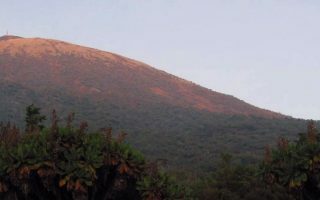 It is here where Dian Fossey spent years carrying out her research about gorillas. 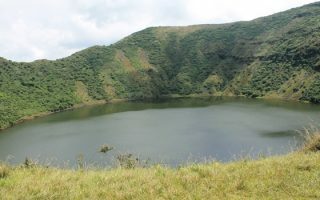 This national park is considered to be the best place to see mountain gorillas in Africa due to a number of reasons. The first is its proximity to Kigali City (Just 2 hours Away by Road), second is the good road network that leads to it and lastly the great conservation efforts of Rwanda as a country. Walking with gorillas is an experience every passionate traveler should embrace. 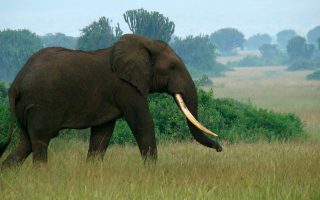 Our luxurious Rwanda vacation packages will let you explore this historic attraction. 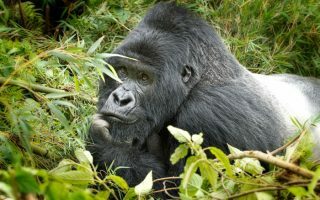 The best time to visit Rwanda gorillas is during the dry months of the year. Visiting during June to September or December to February should be fine. Visiting during such months will let you see mountain gorillas in plenty because they hardly take any shelter from the rain. The trek also becomes pretty much easier because the paths are dry and you do not have to worry about sliding. 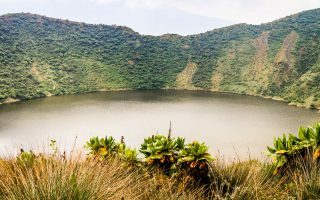 Book a Rwanda luxury travel vacation with us and make the most of your time in this small, landlocked, beautiful country.